Relieves soreness and discomfort in the arch and heel region. 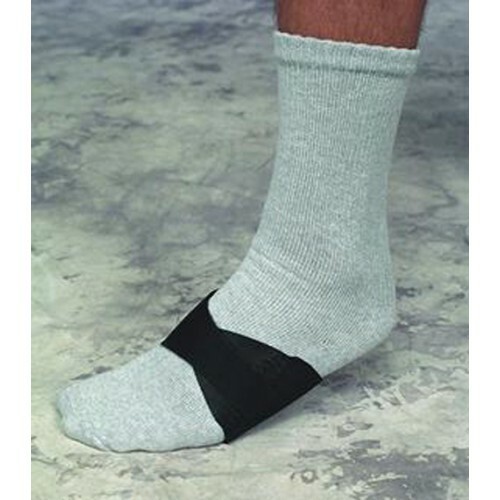 Provides upward compression to the arch and supports the plantar fascia to help alleviate symptoms of plantar fascitis. Soft cushioning neoprene under the arch area offers soothing warmth to keep tendons and muscles pliable and less prone to re-injury. Lightweight, hook/loop, fully adjustable closure. Wear inside shoe for non-invasive pain treatment.